﻿ Aakash Inn Tiruvannamalai, Thiruvanamalai | FROM $21 - SAVE ON AGODA! Have a question for Aakash Inn Tiruvannamalai? "NICE HOTEL AND FOOD GOOD"
"Nice hotel for a short stay." Nestled in the heart of TSR Nagar, Aakash Inn Tiruvannamalai is an ideal spot from which to discover Thiruvanamalai. The hotel lies 1.3 Km from the city center and provides accessibility to important town facilities. With its convenient location, the hotel offers easy access to the city's must-see destinations. 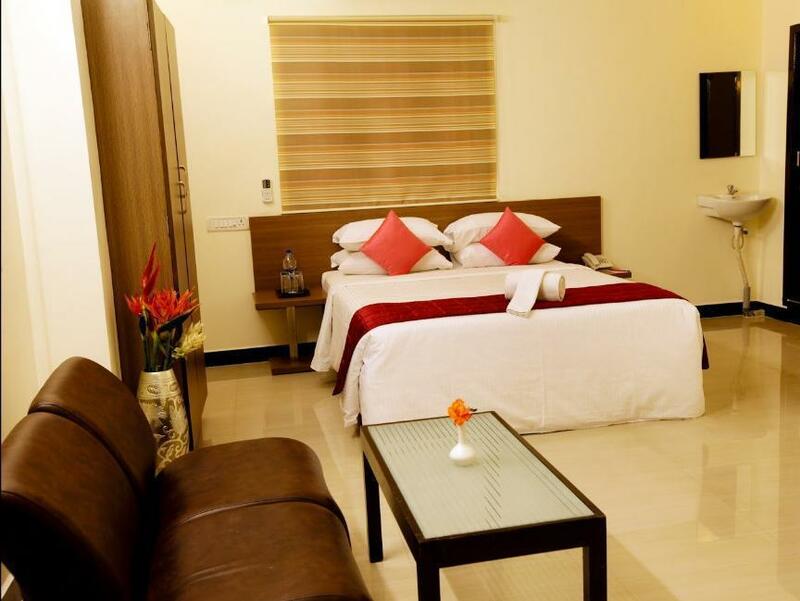 At Aakash Inn Tiruvannamalai, the excellent service and superior facilities make for an unforgettable stay. 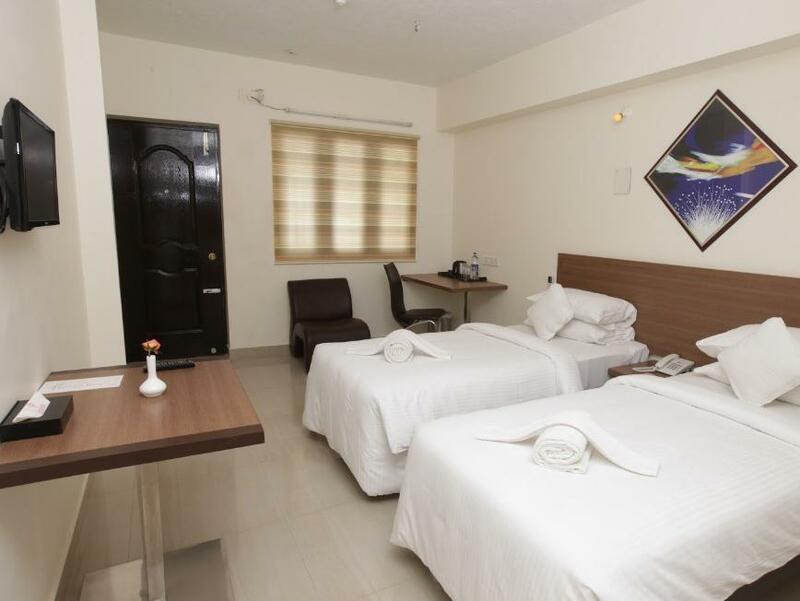 24-hour room service, free Wi-Fi in all rooms, 24-hour front desk, express check-in/check-out, luggage storage are just a few of the facilities that set Aakash Inn Tiruvannamalai apart from other hotels in the city. Guests can choose from 18 rooms, all of which exude an atmosphere of total peace and harmony. Besides, the hotel's host of recreational offerings ensures you have plenty to do during your stay. Whatever your reason for visiting Thiruvanamalai, the Aakash Inn Tiruvannamalai is the perfect venue for an exhilarating and exciting break away. "Located aptly close to the Ashram, it was a very good experi..."